This entry was posted on November 4, 2010 at 1:22 pm	and is filed under IMB, Lottie Moon, Missions, Offering. 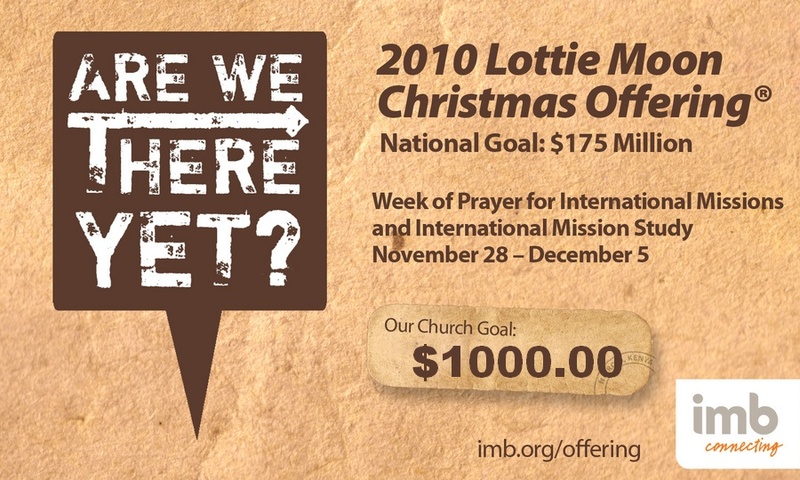 Tagged: 2010 Lottie Moon Christmas Offering Goal, IMB, Lottie Moon, Missions, Offering. You can follow any responses to this entry through the RSS 2.0 feed. You can leave a response, or trackback from your own site. Thanks for dropping by and making a comment. God bless you as you return to seminary.